especially if you are the sensitive type. Not only is it embarrassing, it takes a toll on your confidence…and even worse, could make you a pariah – as most people may avoid talking to you for fear of suffocating from your mouth odour. 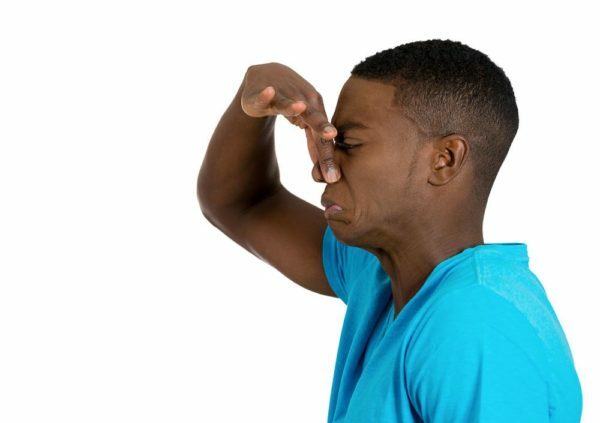 When mouth odour becomes unrelenting, it usually is no longer the case of bacteria building up on the back of your tongue or between your teeth. Grabbing a piece of gum or using a mouth spray does not cut it anymore, as it can no longer mask the problem. It is not advisable to leave things to chance; instead, try some home remedies or visit a dentist to check for underlying medical conditions. If you are interested in the first option, you may want to go for natural options. Lemons are great for a lot of things and eliminating strong mouth odour is one them. The lemon fruit contains some acidic content that kills and prevents the spread of bacteria in your mouth. Also, its strong scent refreshes the mouth, masking the bad odour. The good thing is that lemons are very affordable. To extract the nectar, all you need to do is cut open the fruit, squeeze it into a small bowl, then stir one tablespoon of the nectar into a cup of water and rinse your mouth with it. You can do this as often as 3 times a day. It will help alleviate your breath issues. Parsley may look like a very tame herb, but it contains chlorophyll, a powerful breath deodorizer with germ-fighting qualities that can help neutralize bad breath. To use parsley as a cure for your bad breath, simply munch on a sprig of parsley, or put parsley leaves through a juicer and sip the juice. Alternatively, you can dip the herb in vinegar and then chew it thoroughly. Whatever method you chose, the parsley refreshes your breath. Cinnamon is not just for baking or cooking. You can use it to stop bad breath as well! It contains cinnamic aldehyde, an essential oil, which not only masks bad breath, but also reduces the amount of bacteria in your mouth. It also stunts bacteria growth. You can either use ground cinnamon or cinnamon sticks for this remedy. Boil one teaspoon of cinnamon powder or 1 stick in a cup of water, strain the solution and use it as a mouth rinse to refresh your breath. Use it 2 times a day for optimum effect. Some raw foods act as natural toothbrushes and breath cleansers. These raw foods include crunchy fruits and vegetable rich in fiber such as carrots, celery, and apples. They are great for fighting against bad breath, as they can help scrape out the plaque buildup, and trigger an increase in the production of bacteria-fighting saliva inside the mouth- killing mouth odour and keeping breath fresh. There is even an added bonus of these foods increasing the dose of immune-boosting nutrients when included in your diet. Every nutritionist or health expert would advise that you hydrate to reduce bad breath. Lack of moisture to produce saliva can catalyze the development of odour-causing bacteria. However, you can go a step further to fight same bacteria with a salt water gargle. Salt- water solution not only introduces moisture to the mouth, the combination of salt and water works together to remove bacteria from your throat and tonsils. Also, it softens the mouth area, loosening and flushing out food particles that may be trapped in certain cervixes in your mouth and causing bad breath. It is preferable to use warm water for this gargle.